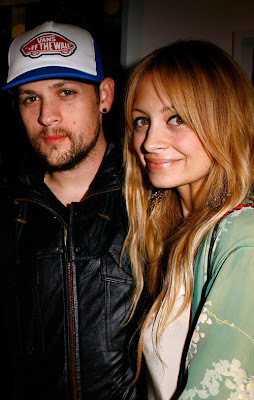 Nicole Richie was spotted attending the event "Without You I’m Just Me" exhibition at Gallery 1988 in West Hollywood. Nicole Richie attended the event with her beau Joel Madden and also posed for a picture with the latest celebrity Mom - Ashlee Simpson! Nicole was looking fabulous in an oriental inspired outfit & was carrying her trused classic red Chanel bag!